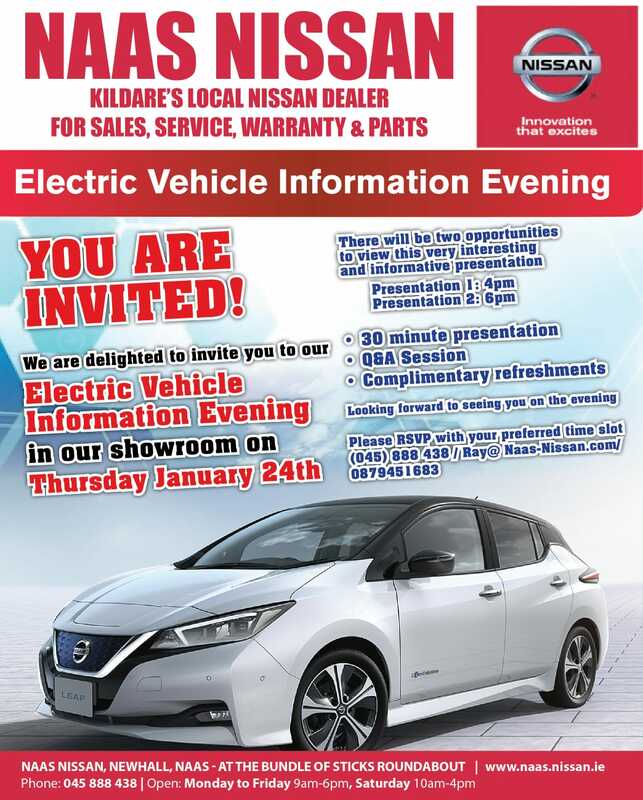 Kildare’s local Nissan dealer, Naas Nissan is holding an Electric Vehicle Information Evening at its showroom at the Bundle of Sticks roundabout in Naas on January 24. An interesting and informative presentation will be given at 4pm and 6pm. The 30 minute presentation will be followed by a question and answer session and complimentary refreshments.